Are you sure you want to remove Future Logic from your list? 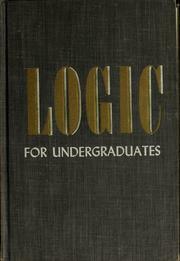 Future Logic is an original and wide-ranging treatise of formal logic. It deals with deduction and induction, of categorical and conditional propositions, involving the natural, temporal, extensional, and logical modalities. This is the first work ever to strictly formalize the inductive processes of generalization and particularization, through the novel methods of factorial analysis, factor selection and formula revision. 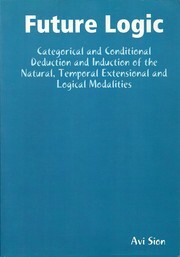 This is the first work ever to develop a formal logic of the natural, temporal and extensional types of conditioning (as distinct from logical conditioning), including their production from modal categorical premises. 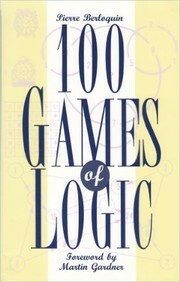 Future Logic is an original, and wide-ranging treatise of formal logic. It deals with deduction and induction, of categorical and conditional propositions, involving the natural, temporal, extensional, and logical modalities. 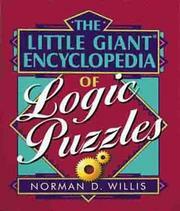 Traditional and Modern logic have covered in detail only formal deduction from actual categoricals, or from logical conditionals (conjunctives, hypotheticals, and disjunctives). Deduction from modal categoricals has also been considered, though very vaguely and roughly; whereas deduction from natural, temporal and extensional forms of conditioning has been all but totally ignored. As for induction, apart from the elucidation of adductive processes (the scientific method), almost no formal work has been done. This is the first work ever to strictly formalize the inductive processes of generalization and particularization, through the novel methods of factorial analysis, factor selection and formula revision. 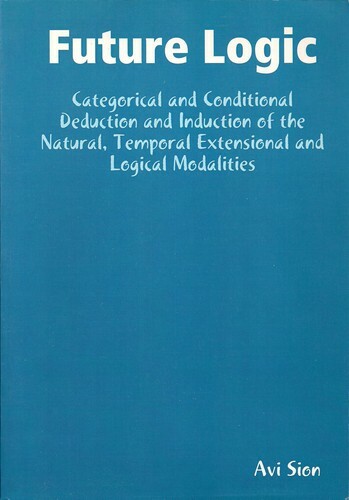 This is the first work ever to develop a formal logic of the natural, temporal and extensional types of conditioning (as distinct from logical conditioning), including their production from modal categorical premises. added by Avi Sion. 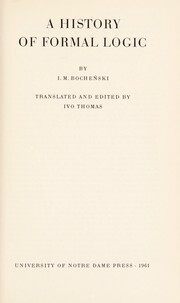 "Abstract"
Future Logic contains a great many other new discoveries, organized into a unified, consistent and empirical system, with precise definitions of the various categories and types of modality (including logical modality), and full awareness of the epistemological and ontological issues involved. Though strictly formal, it uses ordinary language, wherever symbols can be avoided. 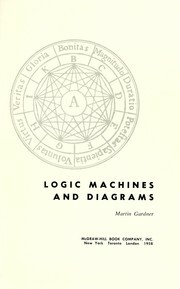 Among its other contributions: a full list of the valid modal syllogisms (which is more restrictive than previous lists); the main formalities of the logic of change (which introduces a dynamic instead of merely static approach to classification); the first formal definitions of the modal types ofcausality; a new theory of class logic, free of the Russell Paradox; as well as a critical review of modern metalogic. But it is impossible to list briefly all the innovations in logical science — and therefore, epistemology and ontology — this book presents; it has to be read for its scope to be appreciated. March 2, 2017 Edited by Avi Sion Edited without comment. February 27, 2017 Created by Avi Sion Added new book.